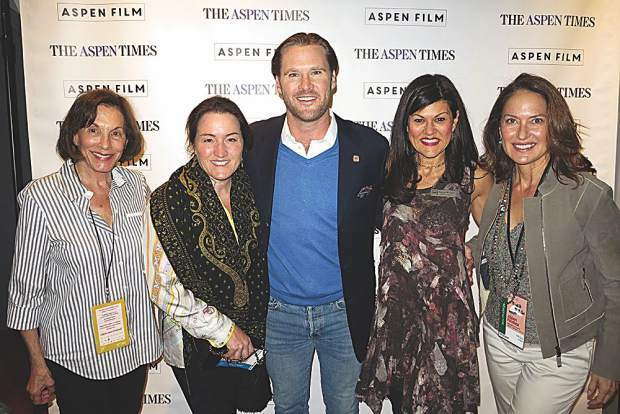 Opening night of Aspen Filmfest with Barbara Fleck, Becky Steere, Ryan Brooks, Susan Wrubel and Helga Fisch. 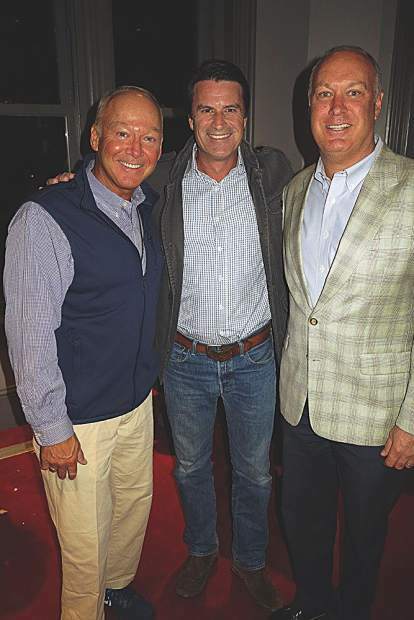 Aspen Film executive director Susan Wrubel with "Momentum Generation" filmmakers Michael and Jeff Zimbalist following their Friday evening screening. 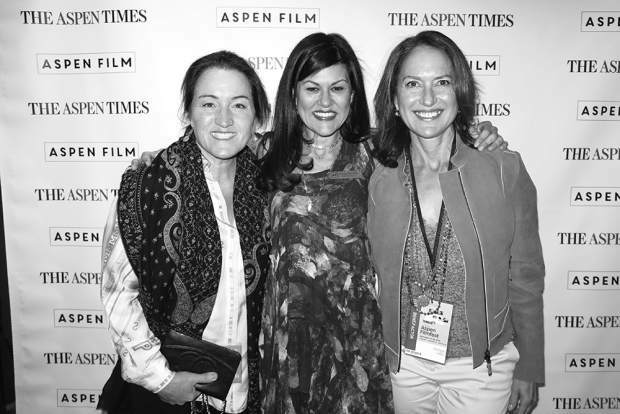 Becky Steere, Susan Wrubel and Helga Fisch were all smiles on opening night of Aspen Filmfest. Mark Godfrey, director John Breen and Andy Godfrey from the heartwrenching documentary "3 Days 2 Nights." 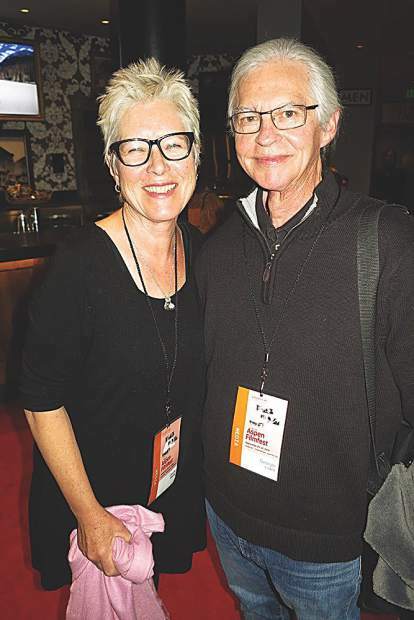 Laura Thielen and George Eldred, formerly the co-directors of Aspen Film for many years, were a welcome sight at the Wheeler House on opening night. 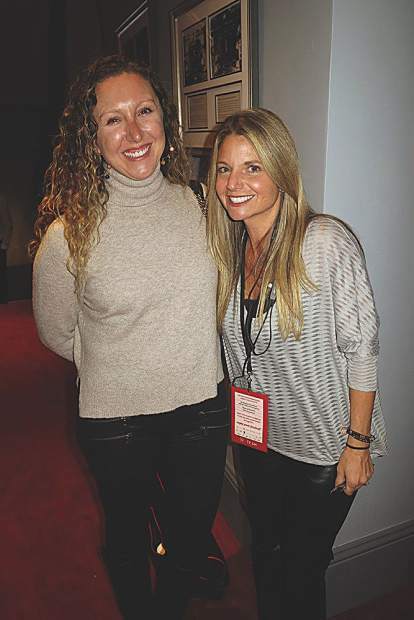 Aspen Film staff Katie Shapiro and Audrey Allen on opening night of Aspen Filmfest. 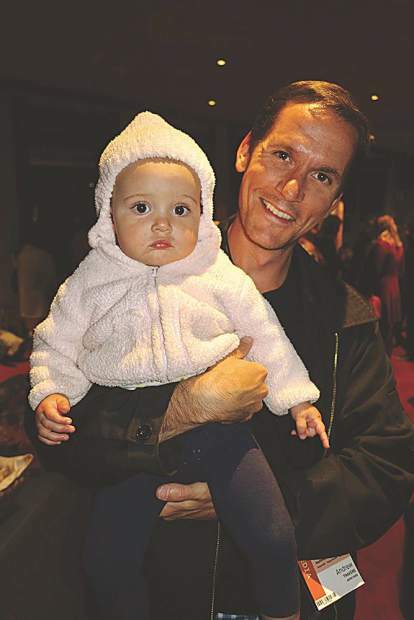 A potential filmmaker in the making, Adeline Travers, with her dad, arts editor Andrew Travers, on opening night of Aspen Filmfest. 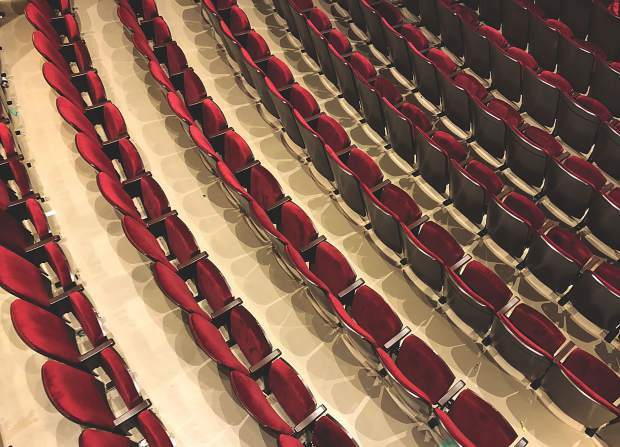 Unlike this aerial of the auditorium at the Wheeler Opera House suggests, Aspen Film filled the theatre time and again for Aspen Filmfest from Sept. 25 - 30. 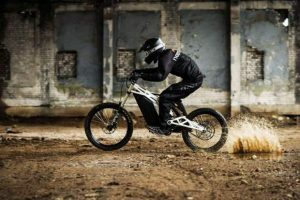 Photo taken in between screenings. 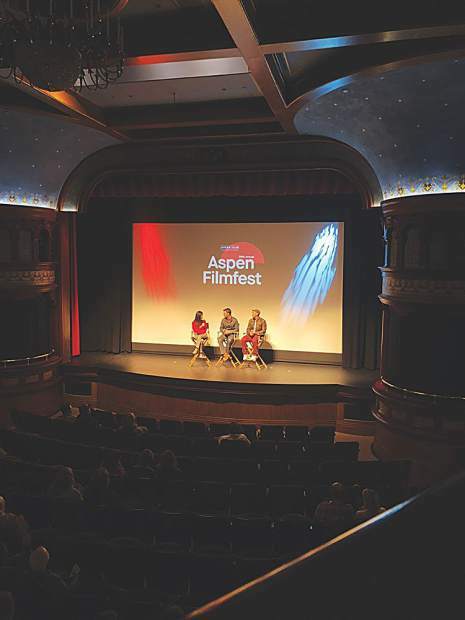 Over six days last week, Aspen Film filled the Wheeler Opera House and Isis Theater in Aspen and the Crystal Theatre in Carbondale with riveting reels, filmmaker Q&As, panel discussions and more for the 39th annual Aspen Filmfest. 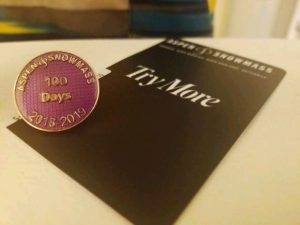 Under the direction of Susan Wrubel, in her second year running the beloved non-profit, Aspen Film embraced the theme of “activism and advocacy for change, the triumph of the human spirit over adversity, the meaning of family, and the tenacity of some incredibly strong women — and kids, for that matter,” in her words. 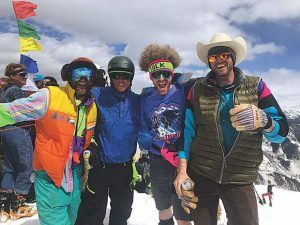 Save the dates for upcoming productions by Aspen Film including Academy Screenings over the holidays and Aspen Shortsfest from April 2 to 7. http://www.aspenfilm.org.